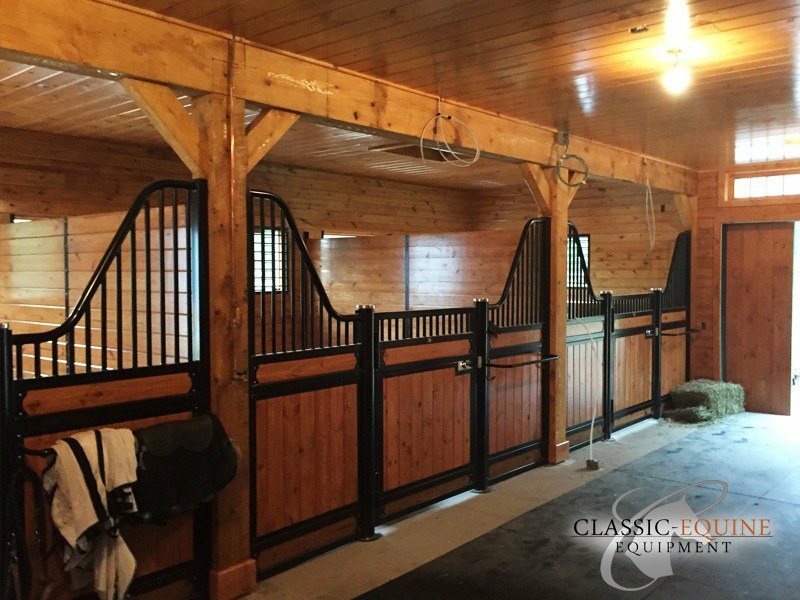 Project Details: After looking at several manufactures, Classic Equine Equipment was able to earn the business and trust of Sheldon Frisch at Winburn Farms. By providing the best product and customer service possible, we created a relationship that was beneficial for all parties involved. As part of that service, we custom build all of the stall fronts and doors to fit their building at no additional charge. Some of the other manufactures that this customer had looked into prior to selecting Classic cannot say the same. Those Competitors claimed to have "custom" stall fronts on an "overrun special" or a "canceled order" ready to ship to you at a fraction of the cost. That is simply untrue. Those stall fronts are imported from China already made. This does not allow for customization and ease of installation. All of Classic Equine Equipment products are American Made and 100% in house manufactured to the highest industry standard. Classic Equine Equipment was honored to be a part of Sheldon's barn project at Winburn Farms. We hope you enjoy your barn for many years to come!